The California-Nevada Section of the American Water Works Association (CA-NV AWWA) is slated to host their 2018 Annual Fall Conference at Westin Mission Hills October 22 to 25 in Rancho Mirage in the Palm Springs area. The water education conference will focus around the theme of #SUSTAINABILITY and the topic of recycled water usage. 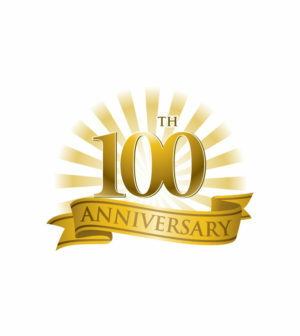 A highlight of the three-day conference will be the recognition of the 100th anniversary of Coachella Valley Water District (CVWD). The district is a multi-faceted agency providing both domestic and irrigation water to approximately 108,000 homes and businesses across 1,000 square miles. They also provide agricultural drainage, wastewater treatment and reclamation services, regional storm water protection, replenishment of the groundwater basin and the on-going promotion of water conservation to a rapidly growing and vast region. CVWD President John Powell, Jr., Vice President Cástulo Estrada, General Manager Jim Barrett and district staff will be presented with a special award of recognition during the keynote luncheon on Tuesday, October 23 at 11:30 a.m. The western two-state section of AWWA’s upcoming fall conference will include an extensive slate of e training classes for professional continuing education units (CEU) hours for skilled water distribution operators, treatment operators, engineers and field professionals in the field of drinking water safety. The conference will also include opening general session, award luncheon and opportunities to network with and learn from water professionals and peers. The Opening General Session keynote address will be delivered by Tim Suydam, director of West Coast Operations at Stone Brewing. A second keynote speaker will be Eleanor Allen, CEO of Water For People and a world-leading water expert dedicated to helping billions of people access safe and sustainable water and sanitation services. Both will speak about their respective organizational commitments to sustainability and how they each focus on recycled water usage. Other noted water industry speakers will be two UCLA Environmental & Civil Engineering instructors — author and nationally known water quality expert Michael McGuire and renowned membrane and desalination expert and inventor/founder of multiple successful water technology startups, Eric Hoek. Lorraine White, manager of the California Energy Commission Office of Standards Compliance, will also speak at the conference and will bring together top authorities from drinking water and higher education in a series of talk sessions around the theme of energy and sustainability in the green.